A young student of graphics from Poland interested in conceptual art, manga, anime, and comic style. 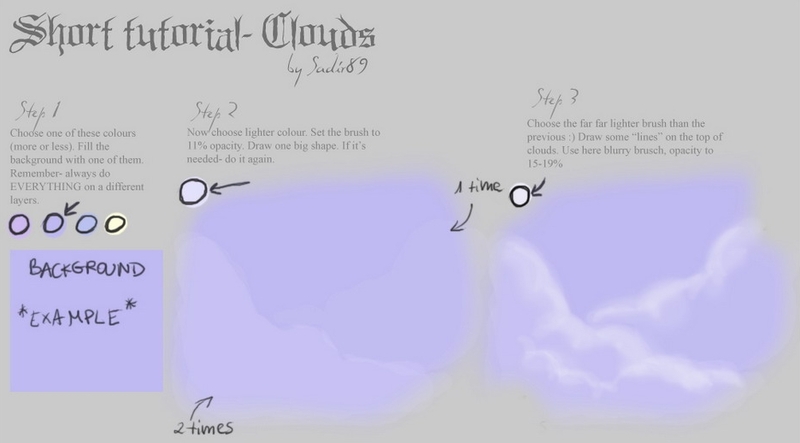 As far as many people ask me about the clouds, I did this tutorial so they can do them in my style. 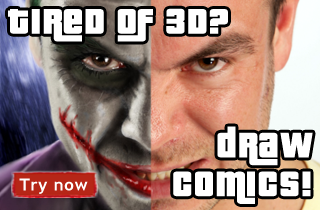 I just want to add the style is mine, I haven't taken the methods from any others tutorials. Choose one of these colours (more or less). Fill the background with one of them. Remember- always do EVERYTHING on a different layers. Now choose lighter colour. Set the brush to 11% opacity. Draw one big shape. If it's needed- do it again. Take the darker brush, opacity- 13% also blurry. 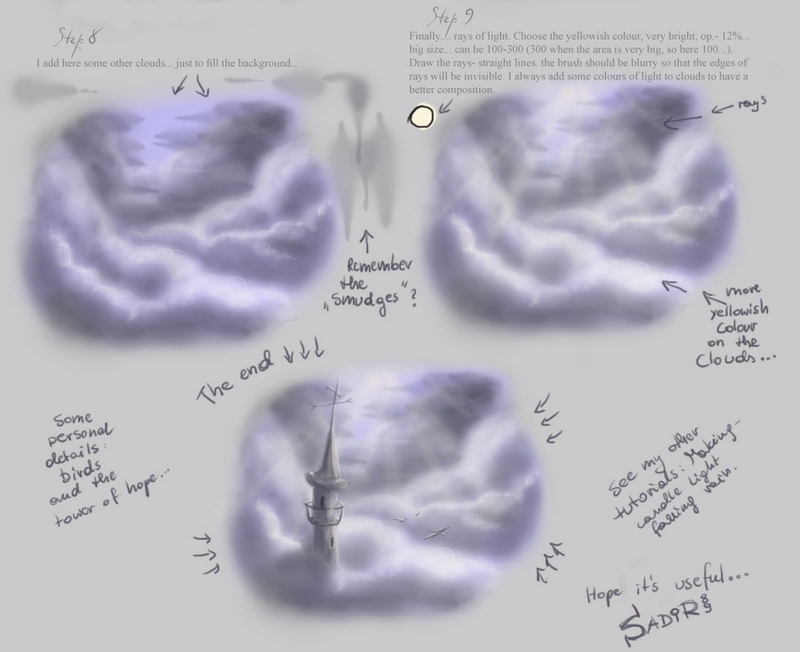 Draw places where clouds haven't got highlights. Ok... it does not look good... so... take the lighter brush and make some more highlights. Now it looks better. But not perfect 🙂 More shadows! Now some details... use SMALL brush (size-1) op - 100%. Draw the outline of the clouds. Of course You don't have to do these details from this step. I don't use the outline in everz picture of a clouds. I add here some other clouds... Just to fill the background. Finallz... rays of light. Choose the yellowish colour, very bright, opacity- 12%, big size... can ben 100-300 (300 when the are is very big, so here 100...) Draw the rays- strraight lines, the brush should be blurry so that the edges of rays will be invisible. I always add some colours of light to clouds to have a better composition. To get more clouds texture, We recommend visit environment-textures.com site.